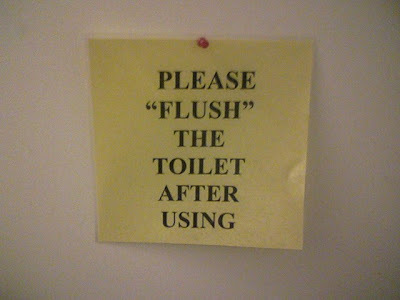 Go ahead and pantomime flushing. It's pretty important. Thanks, Jeff.